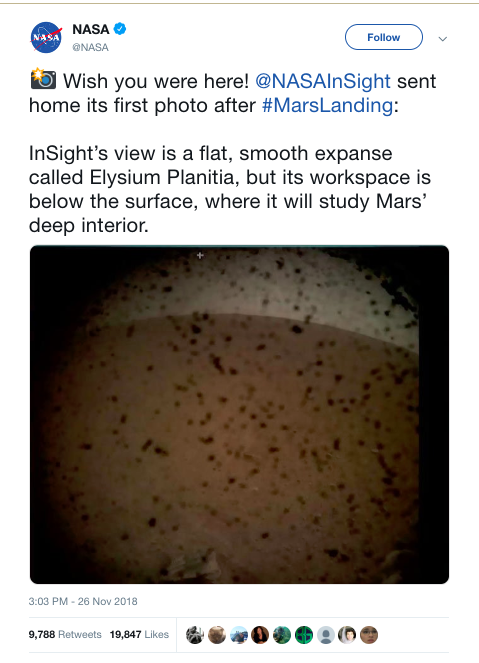 NASA's Mars InSight lander successfully touched down on Mars this afternoon, delivering a robotic geologist that will explore the red planet's interior. Why it matters: How could you not get excited about us successfully sticking a landing on a rock that's 300 million miles away? InSight is not on the Red Planet to search for evidence of alien life. Instead, it will be the first spacecraft to drill down into the deep interior of Mars, and scientists hope the data it gathers will give them clues into how planets form and evolve, Axios' Andrew Freedman notes. "By studying Mars, InSight would illuminate the earliest evolution of rocky planets, including Earth," said NASA in a mission fact sheet. The big picture: NASA has landed eight of its Mars attempts over the last four decades, while no other country has successfully landed and operated a spacecraft on Mars' surface. InSight had just six minutes to decelerate to a stop from 12,300 miles per hour. A supersonic parachute and retro-rocket thrusters worked to slow it down sufficiently for a three-legged, soft landing. Previous rover landings used techniques such as bouncing ball-like structures as well as a skycrane, in which a descent stage slowed to a hover and lowered the rover to the ground. A grainy first photo from the lander was already sent back to Earth. Scientists are still waiting for confirmation from NASA's Mars Odyssey orbiter, which is orbiting the planet, that InSight's solar arrays have deployed. The mission also sent two ultra-small satellites to trail the lander. They will serve as relay stations, and are the first satellites of their kind in deep space. Between the lines: These missions are taking place during a period of renewed interest in space exploration. Perhaps the most prominent example is Elon Musk's SpaceX: The entrepreneur told "Axios on HBO" there's a 70% chance he personally goes to Mars. But Musk is not alone. The UAE wants to have a craft orbiting Mars in 2021, while an Israeli firm wants to land on the Moon next year. Moguls from Amazon's Jeff Bezos (Blue Origin) to Richard Branson (Virgin Galactic) have their own firms, while smaller national players like India and Saudi Arabia are also trying to get into the game. 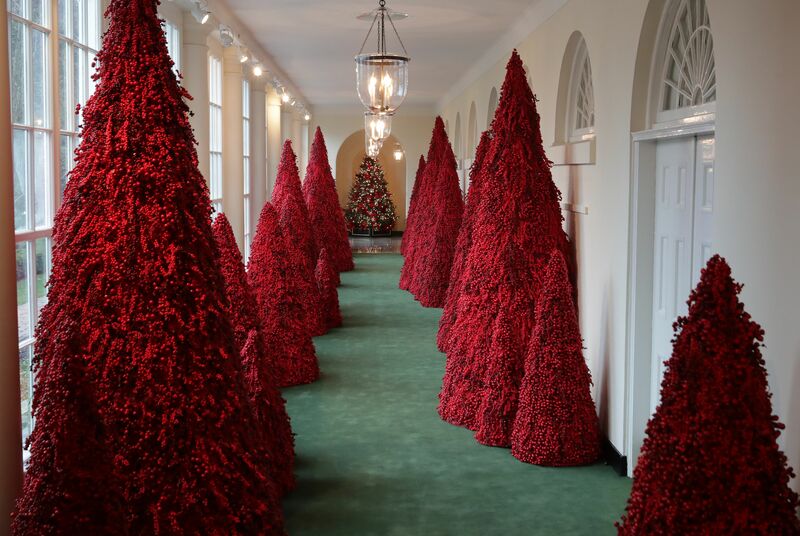 Above: More than 40 red topiary trees line the White House's East colonnade. 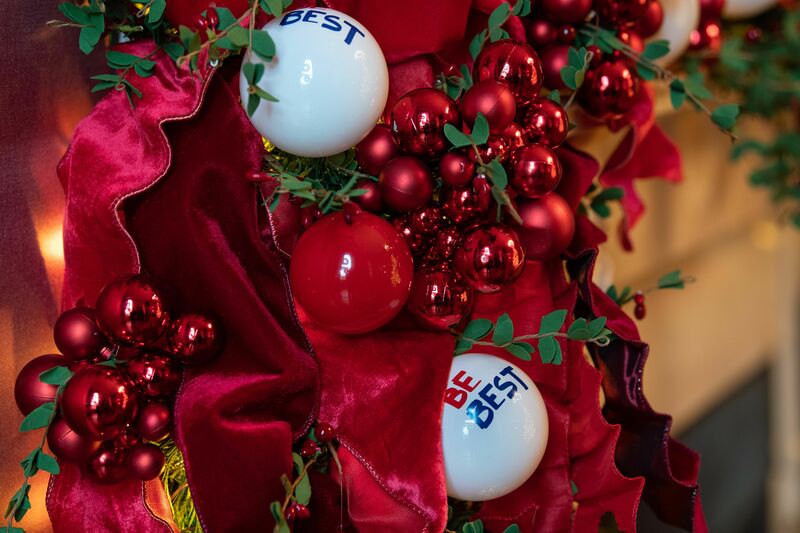 Below: Christmas decorations with "BE BEST" ornaments at the White House. General Motors will cut 15% of its salaried workforce — about 14,000 employees — and "unallocate" multiple North American plants in 2019. Reactions. President Trump says he doesn't "believe" the climate report released last week by scientists from across the U.S. government. Go deeper. Outgoing UN Ambassador Nikki Haley has condemned Russia's decision to intercept, fire on and seize three Ukrainian navy vessels off the coast of Crimea yesterday. Go deeper. Of the 87,000 gender-related homicides of women and girls around the world in 2017, more than half of the victims were killed by intimate partners or family members. Go deeper. Following the claims that a Chinese scientist has used CRISPR to create genetically modified twins, the co-inventors of the gene-editing tool, Feng Zhang and Jennifer Doudna, released separate statements that urged caution and called for a moratorium on editing the genes of embryos. Go deeper. 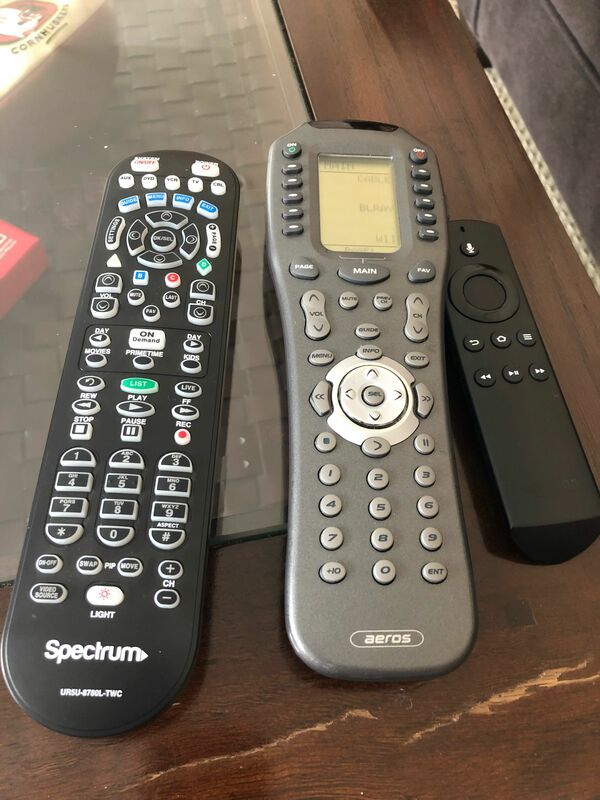 Photo: The remote controls that Axios editor Justin Green encountered at his parents' Nebraska home. The age-old trend of kids explaining tech to their parents is beginning to reverse, as minimalist millennials are befuddled by the complicated remotes at the homes of their parents, the WSJ reports. "Remotes are piling up as people try to stitch together cable TV, streaming content, gaming consoles, Blu-Ray players and speakers. Younger users used to navigating the world through a touch screen are struggling with the morass of devices with dozens of cryptically labeled buttons." "All the remotes mystify even the people who set the systems up. Ms. Roper said she has a bowl full of ancient remotes she’s reluctant to get rid of."